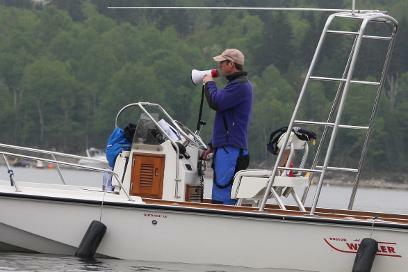 High winds and white caps on Friday and Saturday might have delayed the inaugural Paris Crew High School Rowing Championships, but Sunday brought calm water and more than 125 young athletes and 15 volunteers to the Kennebecasis Rowing Club, where four high schools competed for the beautiful new trophy and the bragging rights that come with it. 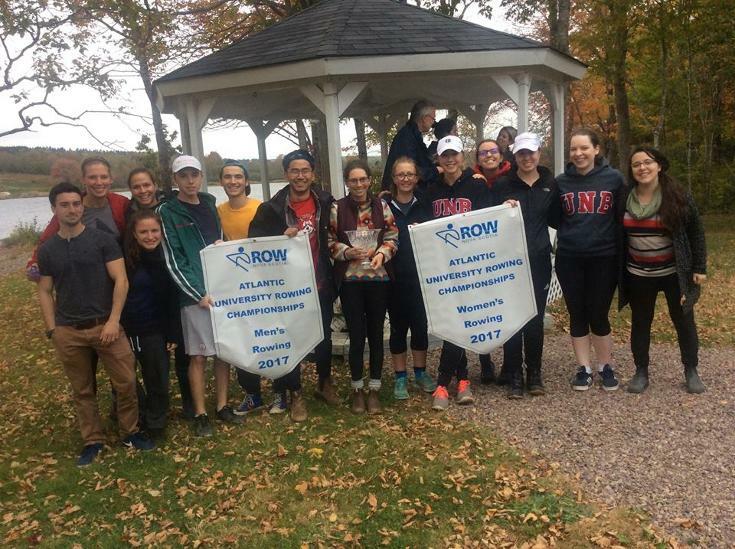 Originally known as the New Brunswick High School Rowing Championships, this annual regatta has been renamed in honour of the 150th Anniversary of the Paris Crew's legendary win at the 1867 World Championship Regatta, a major rowing event tied to the International Exposition in Paris. Click here to read more about the Paris Crew. Rowers from Harbour View High School, Rothesay High School, Rothesay Netherwood School, and Saint John High School took to the water shortly after 7 a.m., beginning with the Novice races. The Junior Varsity crews followed and the the Varsity rowers finished their races just as the sun began to shine - perfect weather for the awards presentations. With portraits of each member of the Paris Crew on display, it was as though Robert Fulton, George Price, Samuel Hutton and Elijah Ross were watching over Sunday's races. 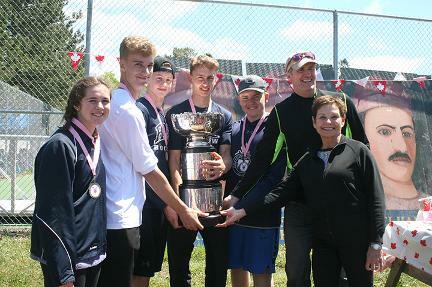 Rothesay Mayor, Dr. Nancy Grant, was on hand to present the new trophy and Tracy McGrath, the 2001 New Brunswick Canada Games coach (2 gold and 1 silver), gave out medals to each of the winning rowers. Rothesay Netherwood School, coached by former Olympic Rower, Dolores Young, and teacher, Jennifer Dykerman, came out on top with 170 points. 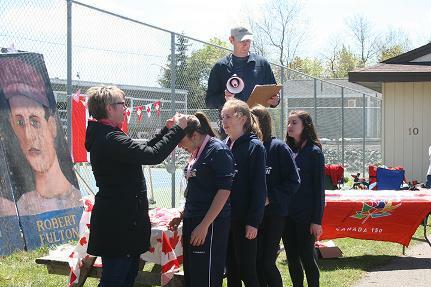 Harbour View High School, under coaching by Robert O’Connell took second place with 131 points, followed by Rothesay High School, coached by Maura Boyle, with 73 points and Saint John High School, coached by Alexandria Ruijrok at 38 points. 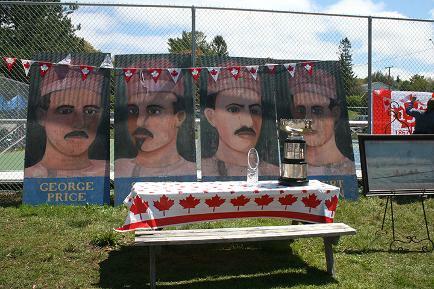 The RNS Men's 4+, made up of Ryan Bessey, Cameron Hickman, Ian Morrison, Matthew Morehouse, and coxswain, Lucinda Laskey, won the Renforth Cup, named after James Renforth, a famous sculler from Newcastle Upon Tyne, England, who died following a race against the Paris Crew on the Kennebecasis River back in 1871. Hungry rowers were treated to an enormous red and white Canada flag cake following the awards ceremony. It was a day of great rowing and tremendous sportsmanship. Many thanks go out to the coaches, everyone who volunteered, including Regatta Chair and Rowing New Brunswick President, John Oxley, Chris Flood and Brian Flood in the start boat, as well as the parents, athletes and our distinguished guests. A new tradition has begun. Wayne joins our board with plenty of experience as an accomplished international rower. He began the tradition of success on the Kennebecasis River by winning gold during the 1985 Canada Games. He has won gold at the English Henley Regatta and represented Canada at the World Rowing Championships. Additionally he is a two-time Pan American Games medalist. 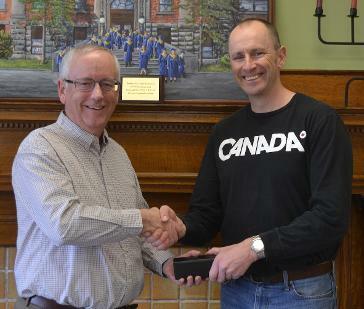 Since hanging up his oars competitively in the early 1990’s, Wayne has been a strong champion for rowing in or province holding the positions of past president of KRC and past president of Rowing New Brunswick . 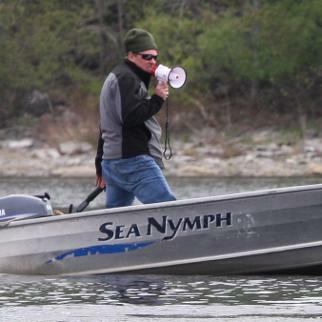 Wayne continued to support rowing from the side lines but now returns to KRC in a more formal role. Welcome Wayne. Chris’s career in rowing began in 1982 as a member of the Kennebecasis Rowing Club and for a decade he realized many successes on the water. He won significant events including Canada Games (Gold, Bronze), National Championships (Multiple Gold), Royal Canadian Henley Regatta (Multiple Gold) and the Pan American Games (Silver, Bronze). Chris was also a member of the Canadian National team from 1990-1992, placing 4th in the men’s 8. Once Chris hung up his oars he continued in the sport of rowing, unselfishly giving of his time for many years, both at the club and provincial level, holding many volunteer positions. Chris’s hard work and inspiration have helped many to rise to very high levels in the sport of rowing. Thanks Chris. Bob, is a parent who came to the sport of rowing when his daughter and son got involved, initially learning under Brendan Kilfoil. Having caught the bug, he has since built a high school program from scratch, which is now one of the top rowing high schools in the province. Harbour View High School regularly takes a haul of medals at the annual high school rowing Championships. 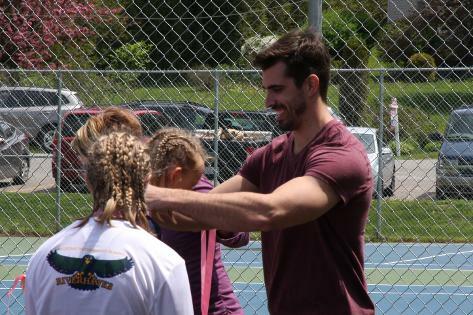 Some of his athletes have gone on to represent New Brunswick at the Canadian Summer Games. His dedication to the Harbour View High School rowing program has benefited the overall spring high school rowing program immensely. Congratulations Bob. Rowing Canada Aviron (RCA) is proud to announce today the establishment of the Canadian Rowing Hall of Fame (CRHF) as well as the inaugural class of inductees. In canada, the sport of rowing has a long and storied history with many people that have nurtured and promoted its development. The CRHF has been established to recognize those outstanding athletes, coaches and builders who are responsible for RCA's continued excellence in rowing, both nationally and internationally. The Paris Crew captured Canada’s attention in it’s infancy when in 1867, just weeks after confederation, four men from Saint John, New Brunswick defeated heavy favourites including England and France at the World Amateur Rowing Championships in Paris, France. Robert Fulton, George Price, Samuel Hutton and Elijah Ross were celebrated for their victory across the young country, uniting Canadians in their excitement. Rowing Canada Aviron Recognizes Dolores Young with 40 Year Service Award. 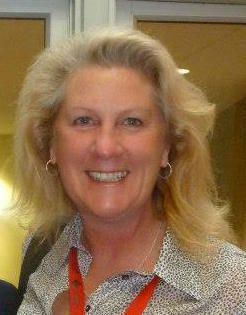 Dolores (Dee) Young has been coaching at KRC since 2007. She moved to the Kennebecasis Valley in 2005, when she took a position at Rothesay Netherwood School. Dee spent many years on the Canadian National Rowing Team. A few of her rowing highlights include bronze medals at the World Championships in 1977 Amsterdam, and 1978 New Zealand, as well as a competitor at 2 Olympics, Montreal ’76 and Los Angeles ’84. More recently Dee was a member of the coaching staff for both the 2009 and 2013 Canada Summer Games where crews took silver in the men’s pair and bronze in the men’s 8. 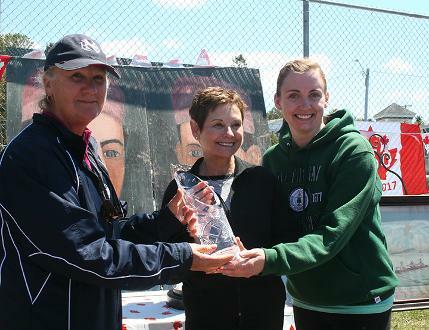 Dolores was inducted into the Brockville and area Sports Hall of Fame June 2014. Congratulations Dee.